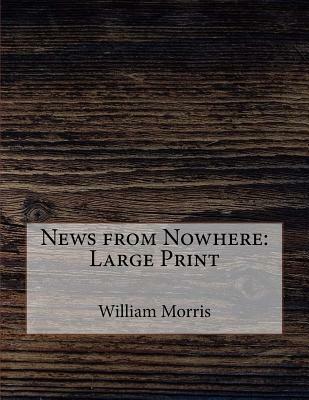 One of the most literary and readable of utopian novels, News from Nowhere chronicles the impressions of a nineteenth-century visitor to the twenty-second century, who finds England transformed into a socialist paradise. Morris' idyllic society echoes themes from the writings of Ruskin and Marx but forms a distinctive expression of the author's own egalitarian views. A distillation of Morris' mature reflections on politics, art and society, this work was regarded as an exercise in sentimentality upon its publication. Modern readers, however, are likely to find resonance in its critique of state socialism and its proposals for an alternative society.